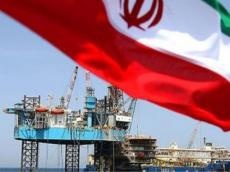 Iran’s oil exports hit a record high in the first three months of the current Iranian fiscal year (started March 21) ahead of re-imposition of new US sanctions on the country’s oil sales, Iran's government spokesman said. Crude exports by OPEC’s third-biggest producer in the first three months of the current year totaled 2.55 million barrels a day at a fixed trading range of $71, Mohammad Baqer Nobakht said, ISNA reported. He added that the government had projected to sell 2.41 million barrels of oil a day at $55 per barrel in a draft budget bill for the year to March 2019. Nobakht said oil revenue in the past 3 months had totaled $16 billion, showing a 74 percent rise compared to the same period last year. Trump announced on May 8 that Washington was walking away from the nuclear agreement, officially known as the Joint Comprehensive Plan of Action (JCPOA), which was reached in 2015 between Iran and the five permanent members of the UN Security Council - the United States, Britain, France, Russia and China - plus Germany.